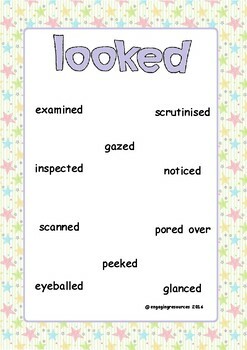 Use this display pack to brighten up your classroom while developing your student’s literacy skills though vocabulary. The display acts as a reference and scaffold to prompt students in extending their vocabulary in their creative writing. This resource has 10 posters to use to create your display and help your students excel in their creative writing. 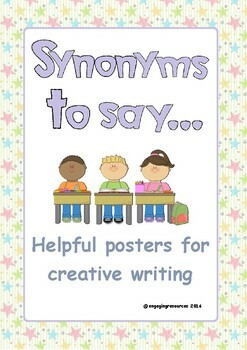 Posters include one key word with 10 synonyms pre poster, one blank poster to create your own classroom vocabulary and teacher notes. Please note that AU/NZ/UK spelling are included here, however if you would like US spelling versions please leave me a message. 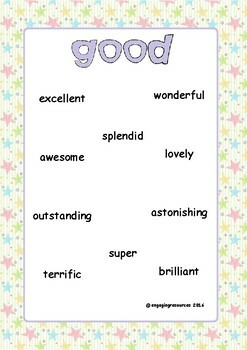 Key words include – good, bad, looked, very, got, said, sad, happy, went and like. Visit my shop to see my other great resources..